Whitney Vickers | Greene County News Anna Lynn Ferris will perform in Fairborn 6-9 p.m. Saturday, April 13 at the Fairborn Actor’s Theatre, 23 E. Main St.
FAIRBORN — Fairborn Native Anna Ferris will soon make her hometown debut as a musician with a performance scheduled for 6-9 p.m. Saturday, April 13 at the Fairborn Actor’s Theatre, 23 E. Main St.
She will perform covers as well as original songs from her new album “Southern Red” alongside Evan Rogers on guitar and Cole Ellis on drums. Ferris describes her group as a Nashville show band. Ferris saw a band perform at the Fairborn Fourth of July Block Party when she was 8-year-old and said she remember’s telling her mother while watching the guitarist play tunes that she wanted to take guitar lessons. Her and her family later moved to South Carolina. After Ferris developed a passion for music, they moved to Nashville. She looks forward to performing in Fairborn and seeing her grandparents Roger and Phyllis DeLong, in addition to long-time family friends Clint Allen and Brian Redish as well as Coby and Freddie Preston. Her album “Southern Red” will be available for the first time at the performance. Ferris said it was recorded in four days, with the remaining process of creating an album taking place within the last month. Ferris admires the stage presence of Janis Joplin, shows by P!nk and the energy of Miranda Lambert. She said her “big dream” is to make it big, but her goal is to make a living playing music. The show is slated for 6-9 p.m. Saturday, April 13 at the Fairborn Actor’s Theatre, 23 E. Main St. Tickets are $10. To learn more about Ferris, visit annalynnferris.wicksite.com/mysite or visit her Facebook page. 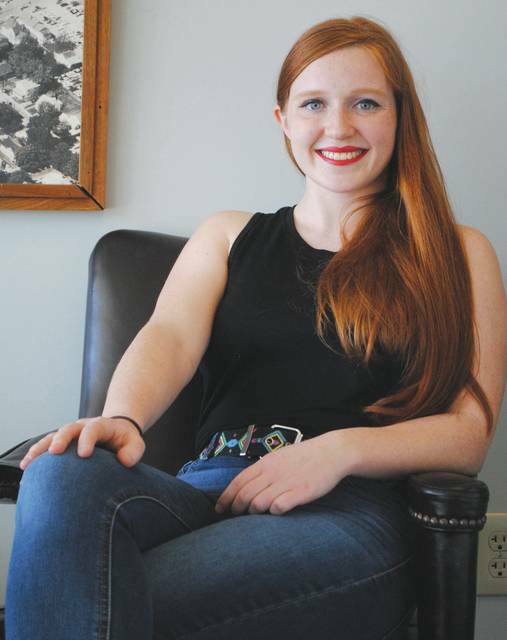 https://www.fairborndailyherald.com/wp-content/uploads/sites/50/2019/04/web1_annaferris.jpgWhitney Vickers | Greene County News Anna Lynn Ferris will perform in Fairborn 6-9 p.m. Saturday, April 13 at the Fairborn Actor’s Theatre, 23 E. Main St.